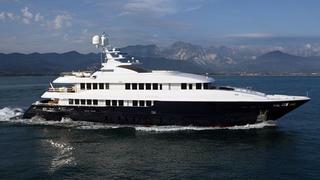 Our build-up to the 2011 Monaco Yacht Show continues with five more of our top yachts visiting the event. 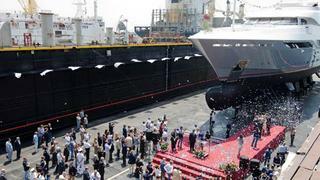 Don’t miss the Tecnomar milestone Doubleshot, the dream charter Told U So or Italian yard Palumbo’s ambitious debut launch the Columbus 177 Prima. For the first yacht off the line under Tecnomar’s new management, Ioanna Marinopoulos has combined daring design and art deco styling to create a family-friendly yacht that heralds a reinvigoration of the popular Velvet 36m. She is worth viewing for a taste of the exciting things to come from the builder. From the man behind the ultra-exclusive Molori Private Retreats, the totally custom interior layout and thoughtful design of this non-standard Benetti Vision 145 mean it will offer charter guests an unrivalled experience. This interesting H2 Yacht Design-styled 73.6m explorer yacht from the Freire yard in Vigo may well turn a few heads. She has a range of 10,000 nautical miles and can reach a maximum of 17 knots. 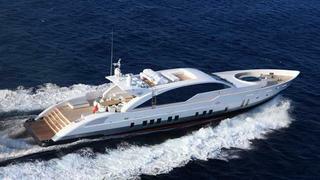 Her Mark Berryman designed interior can accommodate 12 guests and 27 crew. 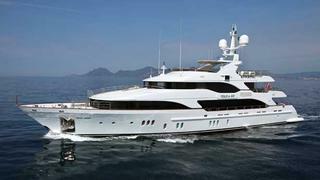 Pegaso is listed for sale with Fraser Yachts. At 54m, this yacht is an ambitious debut launch for Italian yard Palumbo – designed by Hydro Tec, the Columbus 177 Prima has been built to ABS and RINA Green Star Plus classifications. 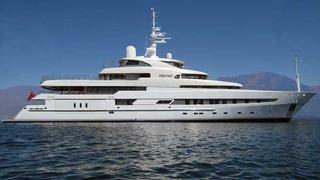 She’s listed for sale by Fraser Yachts asking €24.5 million. Unusually, this 50m Mondo Marine – styled by Studio Vafiadis with a Luca Dini interior – boasts two impressive owners’ suites and a saloon that can be converted to a table tennis arena. Twin 3,650hp MTUs give a top speed of 23 knots.